<anasuiþr> and Ótryggr and Sigbjôrn, they had the stone erected in memory of Ketilbjôrn and his son Ônundr and <saufaraR>. May God help (their) spirits ... this landmark. 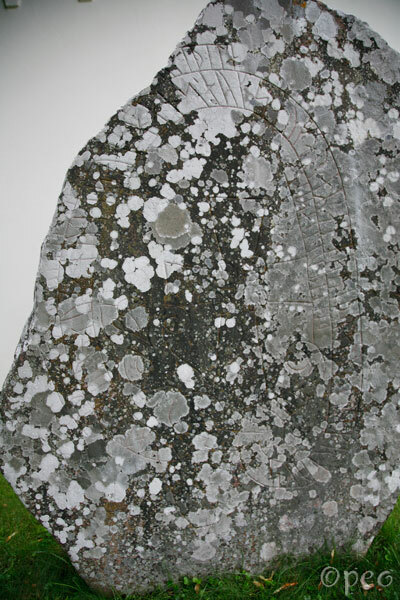 This rune stone needs to be cleaned from lichen, and get the runes and the cross painted. It's standing next to Norrala church.